Focus Partners offers professional financial planning and taxation advice, including accounting, superannuation, retirement planning and business services throughout Albury Wodonga and the surrounding NSW and Victoria region. Learn more about how Focus Partners can help you with your accounting and financial planning needs. Along with the Albury Wodonga region, we also provide services to clients in nearby cities and towns including Bright, Myrtleford, Beechworth, Corryong, Wangaratta, Rutherglen, Tallangatta, Corowa, Culcairn and many more areas. 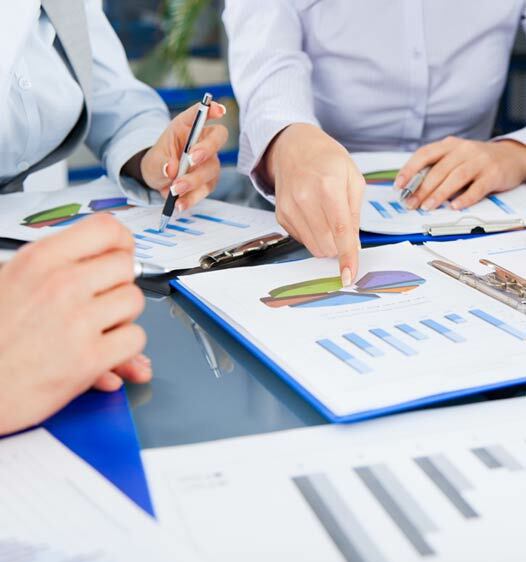 Our comprehensive range of high quality services are complemented by a team of dedicated specialists in the accounting and financial services sector. 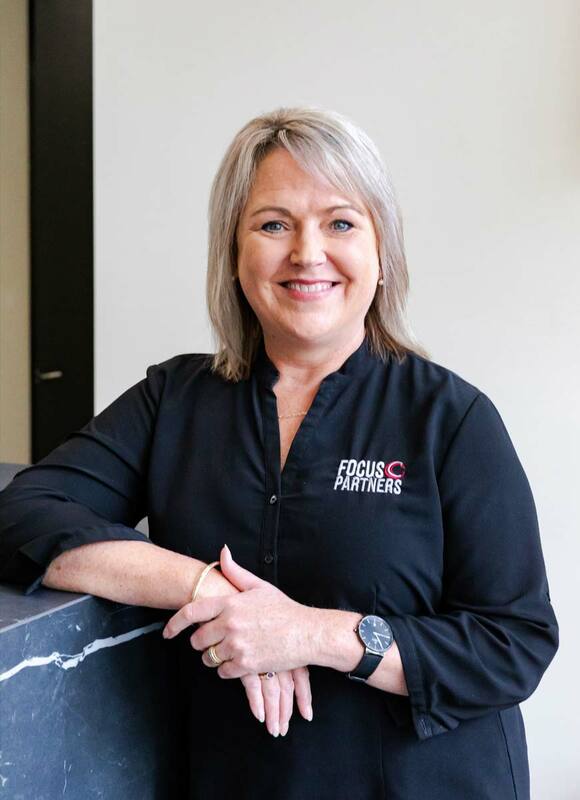 With years of industry experience and knowledge behind the team at Focus Partners, we aim to help and support you with your finances in a friendly, cost-effective and proficient manner. Staff are happy to field any questions you may have about our services, so phone today for an appointment booking and an explanation of the potential options available to you. Whether you're an individual looking to prepare your income tax return, a couple considering retirement or a business owner planning to grow your business, Focus Partners are here to help and provide you with effective solutions. 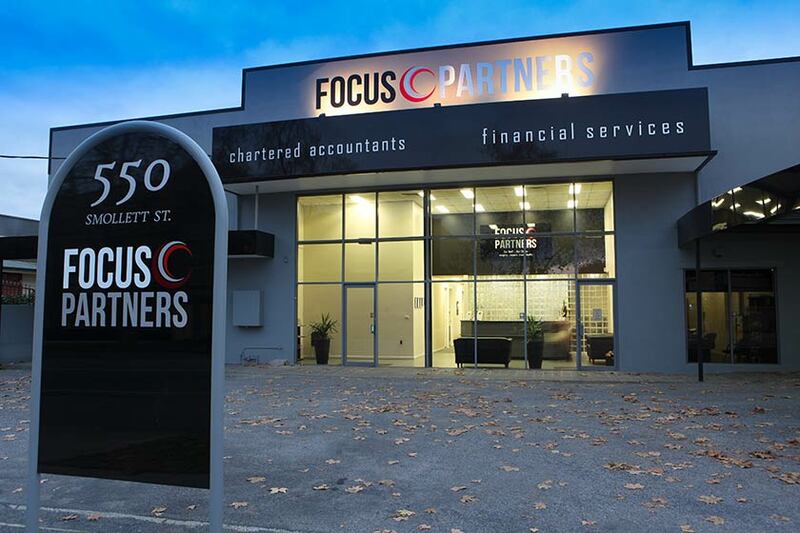 Learn more about how the team at Focus Partners can provide you with Business Accounting & Taxation Services in Albury Wodonga. 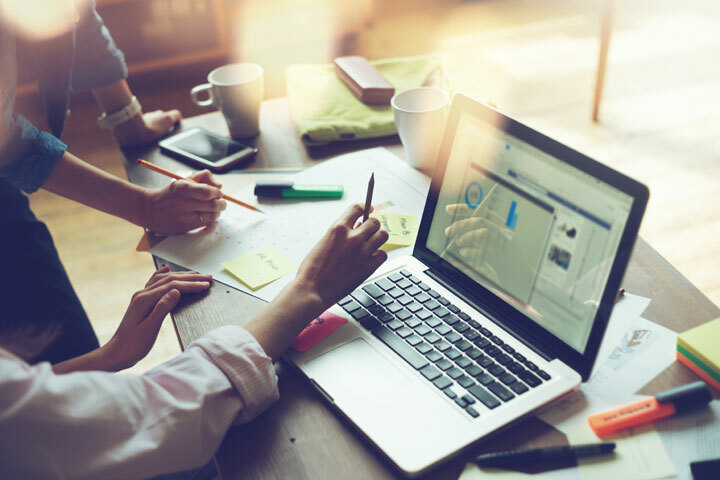 Running a business takes up a lot of precious time, so it's important to identify and use a trusted adviser to work with you through the business life cycle. Our business advisory services can provide traditional accounting services as well as professional business advice and planning. Our advisory services are not just about taxation and lodging Activity Statements, Focus Partners can offer advice from the set-up stage of business right through to sale or retirement. During your complimentary one hour meeting, we conduct a Needs Analysis Review on your business, where we will discuss everything from your key business concerns to your will, right through to your holiday/leisure goals. From there we assess how we can help you meet your financial goals, help you understand your financial position, and develop a package that will enable us to become your trusted adviser. A Needs Analysis meeting is cost and obligation free. Even if you are not a current client of Focus Partners, it costs nothing to touch base with us and discuss how we could help you and your business. We're happy to bring the coffee! 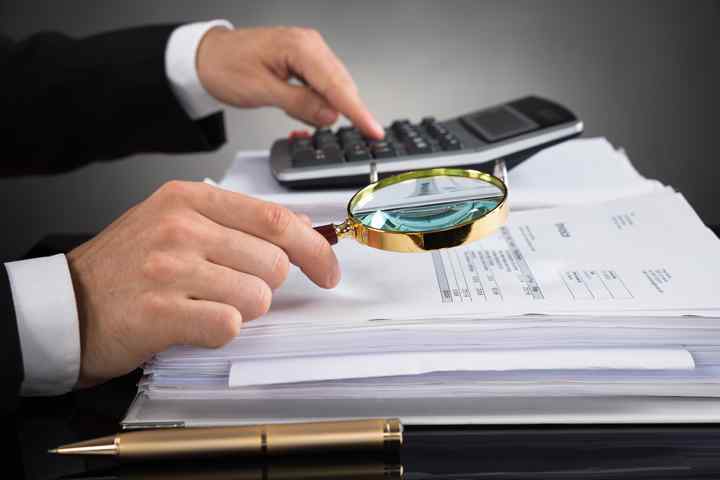 Our firm understands the burden of keeping up to date with the seemingly never ending required returns and statements. We believe we can alleviate some of the pressure these deadlines can create. 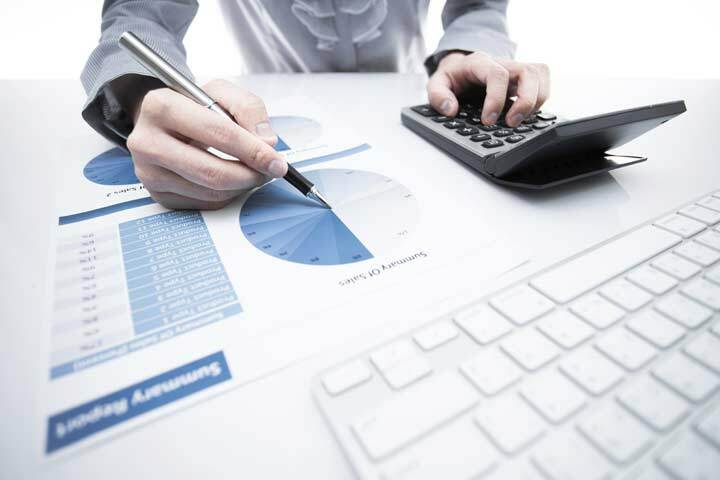 Our qualified staff prepare all income tax returns, financial statements and activity statements with care and precision to ensure clients are receiving quality results and advice. Unfortunately, compliance services are a necessary evil of running a small business. We understand this burden and believe that we can alleviate some of the stress from this aspect of your day-to-day activities. Check out the Taxation & Compliance services we offer below, or take a look at our Compliance Fee Packages. Learn how to manage your tomorrow today with a structured financial plan from the team at Focus Partners. That's it. Planning. It's simple, and with our help, you have the power to make that time of your life whatever you want. If you have already retired, or retirement is looming, it's time to start preparing now. 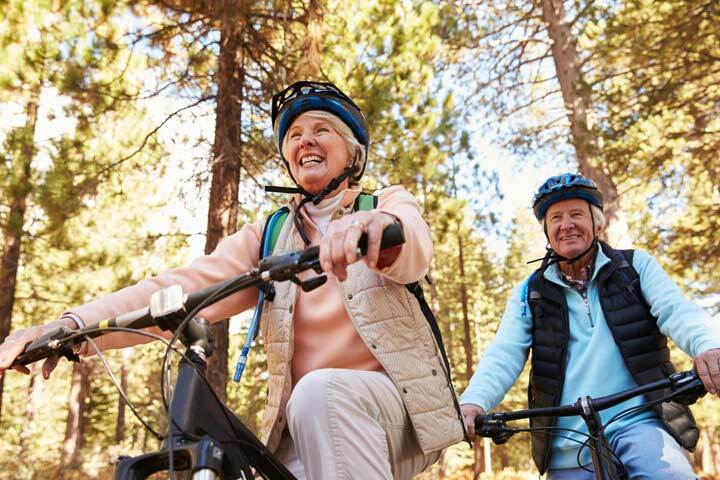 By listening to you, understanding your lifestyle choices, your health options, and your overall financial position, we will plan for you to reach your and enjoy retirement with calmness and peace of mind. There are a number of benefits when it comes to self managed super funds: greater flexibility, more investment choice, a sense of control and ownership, not to mention the freedom it offers as a retirement funding option. However, to get the most out of a SMSF and its fees, a minimum amount to invest is taken into consideration. It's your life, your retirement, and your dream. Our exceptional level of personal service means that you can feel confident in achieving that particular lifestyle that suits only you. You can trust that the advice you are given from our well qualified financial team will give you confidence and assurance for your future. We have advisers that are accredited SMSF Specialist Advisers with the Self Managed Super Fund Association. This accreditation is only available to professionals who aspire to excellence in SMSFs in terms of expertise, ethical standards and compliance. 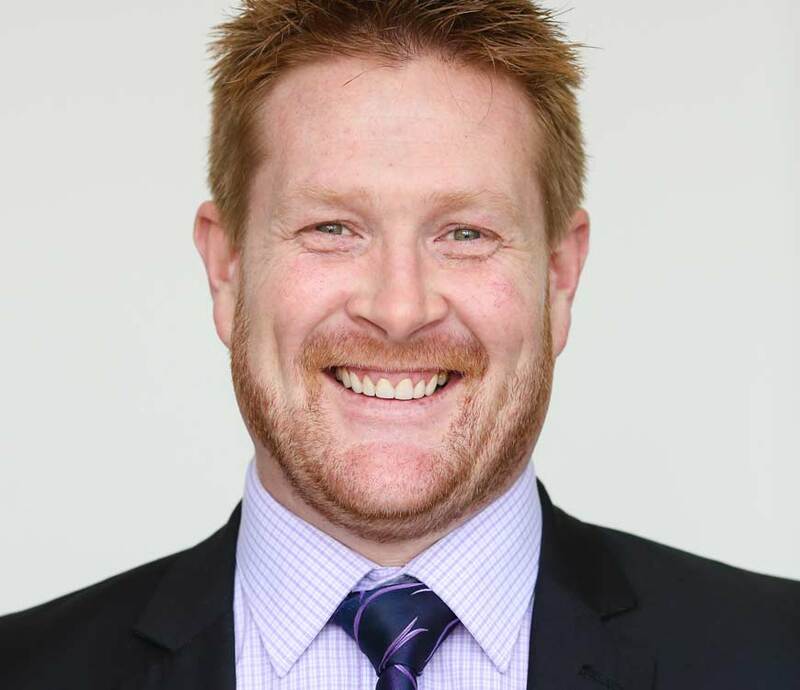 Our SMSF Specialist Adviser – Josh Howard – has demonstrated this through assessment of criteria such as experience, education, quality, practice and application. Our goal is to get to know you by developing a sound knowledge of your circumstances, needs and aspirations. Once we have done this we develop and provide you with your financial road map outlining personalized financial strategies to secure your financial future and peace of mind. Each of us is on our own unique journey to our own unique future. Focus Partners Financial Services has found that many people are so busy and focused on day to day living that they have yet to develop a road map to their future goals, aspirations and dreams. 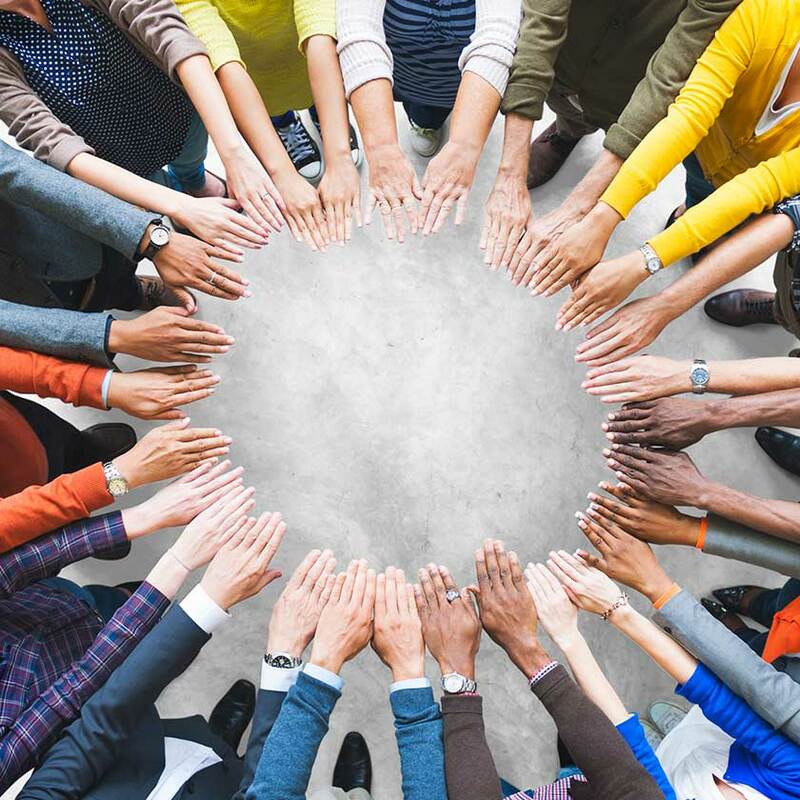 Focus Partners Financial Services recognises that everyone is different with unique needs and objectives. What's more, your financial needs change as you go through different life stages. At Focus Partners Financial Services we help you make the appropriate choices regarding your financial future. Our goal is to get to know you by developing a sound knowledge of your circumstances, needs and aspirations. Once we have done this we develop and provide you with your financial road map outlining personalized financial strategies to secure your financial future and peace of mind. 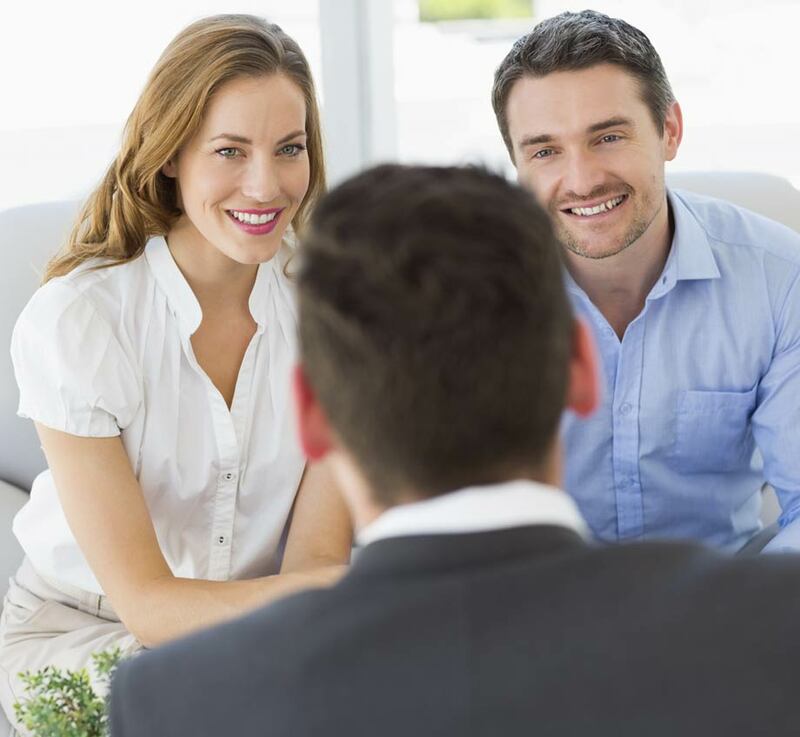 We provide regular reviews as checkpoints to make sure that your plan is on track. 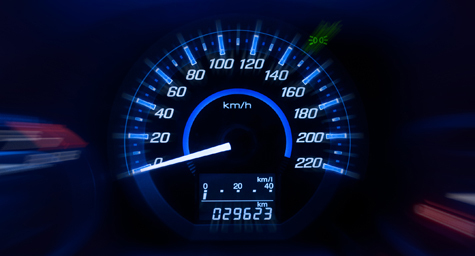 Looking into your financial future can be like travelling through unfamiliar territory. 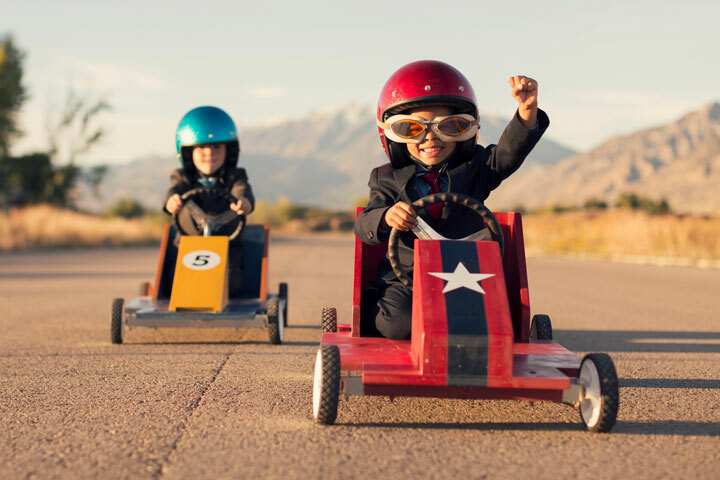 With Focus Partners Financial Services you will have a financial road map to follow with clearly defined goals and deadlines. Formulate, stress-test and optimise available strategies. Determine appropriate providers for wealth creation and protection. Contact product providers/accountant as necessary. Get quotes from potential product providers. Send through additional information as requested. Do requested "homework" to understand investment concepts. Discuss recommended strategies and likely outcomes. 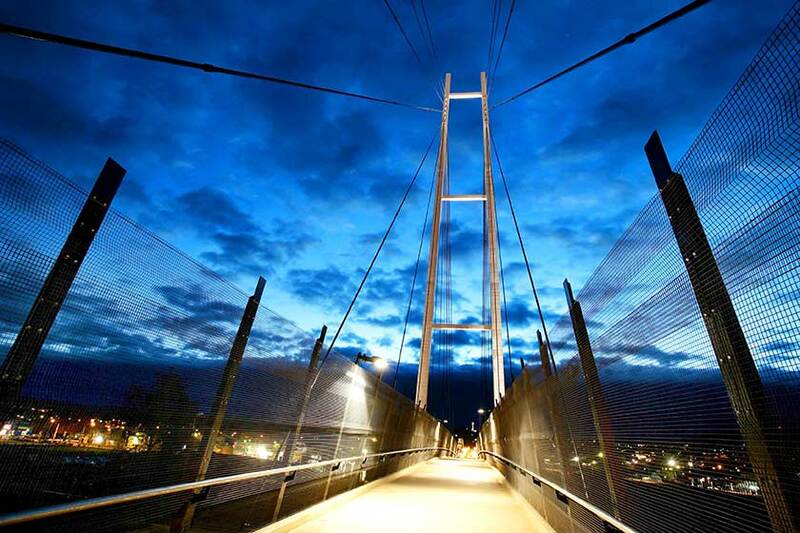 Finalise investment portfolio to suit outcomes and risk profile. Liaise with other legal/tax professionals if necessary. Do any additional "homework" to understand recommended strategies. Liaise with all product providers. Cancel any superseded products when replacements are finalised. Schedule ongoing management of your plan. Complete any requested underwriting requirements. Liaise with third parties as requested (e.g. employer, Centrelink). We look at everything that has been implemented so far and ensure that it is all moving forward as expected. We will schedule regular review meetings with you to ensure that your financial plan is adjusted for your circumstances as your life changes. Without support and guidance, the journey to your financial future can be long and aimless. In fact most people will never reach this destination on their own. Focus Partners Financial Services invites you to join our financial peace of mind journey. Our professional team will work with you each step of the way to help you achieve your financial goals and dreams. We have a variety of packages to cover your business accounting and taxation needs, no matter the size and/or age of your business. Tight budget? Just starting out in business? Our base compliance package is for those clients not registered for GST. We've got what's needed to keep the Tax Office off your back. Let our team help out you and your team. Don't fit within one of our packages? Don't need all of the inclusions? Want more? We can customise a package for you. Just ask! 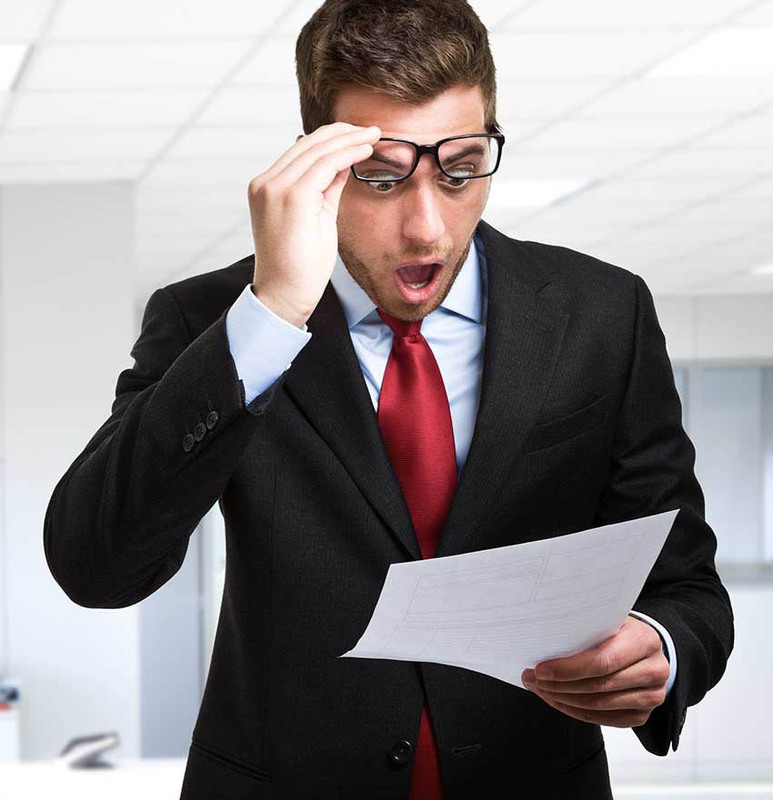 Avoid a nasty 'bill shock' at the end of the year, our goal is to help our clients with cash flow. You will know exactly what you're paying us each month, rather than getting a huge bill at the end of the year. Don't like the idea of a monthly payment? That's fine! A number of our clients prefer to be billed during the year. We're here to make things easier for you. We can take care of everything to get you started - right down to contacting your old accountant. Ask us today about our Business Advisory packages! Got a question? 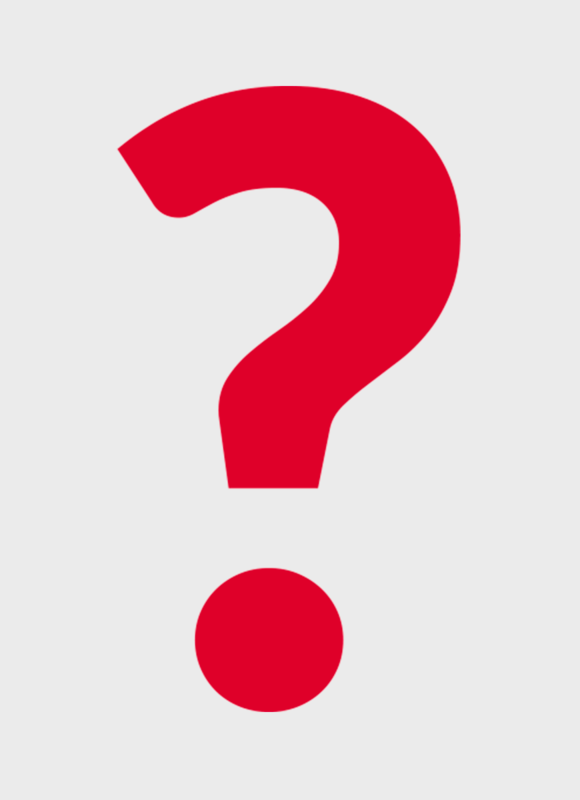 Here are some of the questions and answers we get asked by clients all the time. While the 'Focus Partners' name may be less than a decade old, the business has been going since the 1960s. Focus Partners is both a Chartered Accounting and a Financial Planning business under the one roof. With financial advice becoming increasingly intertwined with taxation advice, we think this offers our clients a distinct advantage over a financial advice business operating in isolation. 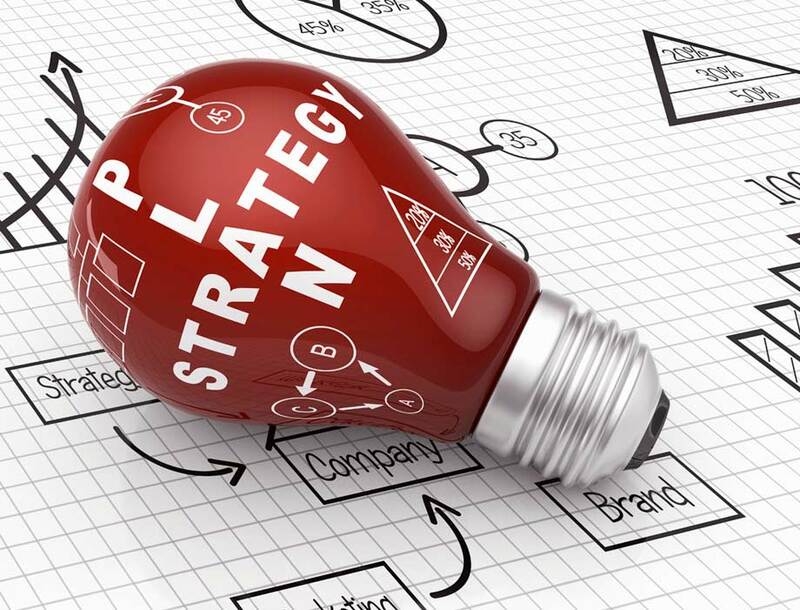 Focus Partners offers a range of strategic solutions for all your financial needs. 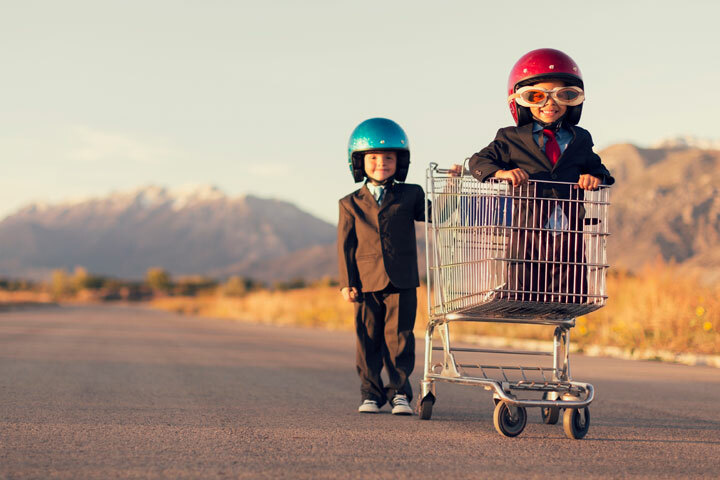 Tailored professional financial advice can help you make informed financial decisions and create long-term financial security for you and your family. How much does it cost to get financial advice? The cost varies from client to client, depending on the complexity of the advice required. 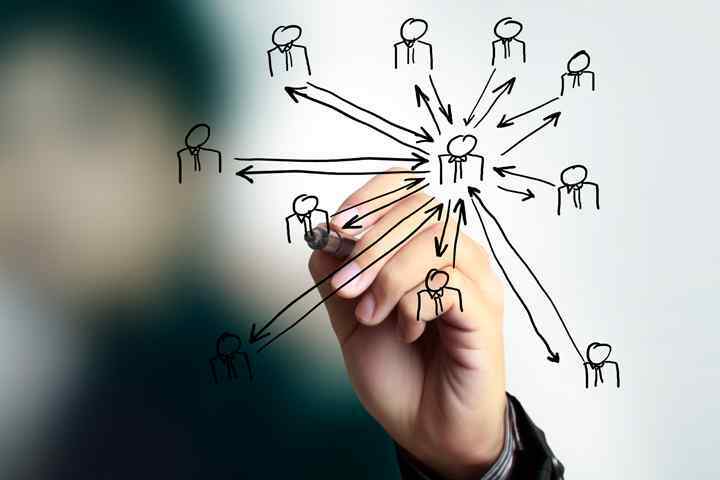 The initial meeting with one of our advisers is free of charge. At that point we will gather relevant information about your current situation, and then we will look to see what strategies we can employ to help you achieve your objectives. Focus Partners provides excellent advice in the form of written Statements of Advice (SOAs). The fee for preparing a SOA will generally be between $1,650 and $3,300, depending on the scope and complexity of the advice. 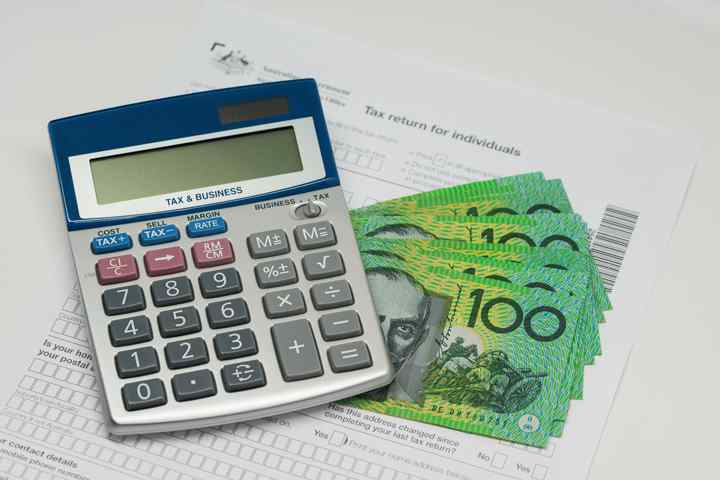 The cost will be fully disclosed to you prior to any expense being incurred, and in most cases the expense can be paid from your superannuation. Our ongoing cost of advice is 0.88% per annum of your investment balance, and this may be less if the appropriate strategy for you involves a Self Managed Super Fund (SMSF). The ongoing cost of advice with a SMSF is a flat dollar fee, which varies depending on the complexity of the fund and the level of service that you require. Focus Partners outsources the trading function to Lonsec Limited. The charge we have negotiated with Lonsec is 0.44% with a minimum cost of $44. This is paid 100% to Lonsec, with Focus Partners receiving NIL. If you are not a financial planning client with an ongoing service relationship with us, Focus Partners will charge an additional amount of up to 0.66% with a minimum of $66. We will take great care to identify and recommend insurance that provides the best value for money for our clients. In line with industry practice, Focus Partners receives a commission on insurance placed through us. Please note that while the commissions are payable based on the premium you pay, the commissions do not form part of your premium and are not an additional fee to you. The level of commission payable to Focus Parnters will be fully disclosed at the time of recommendation. What do Focus Partners do? 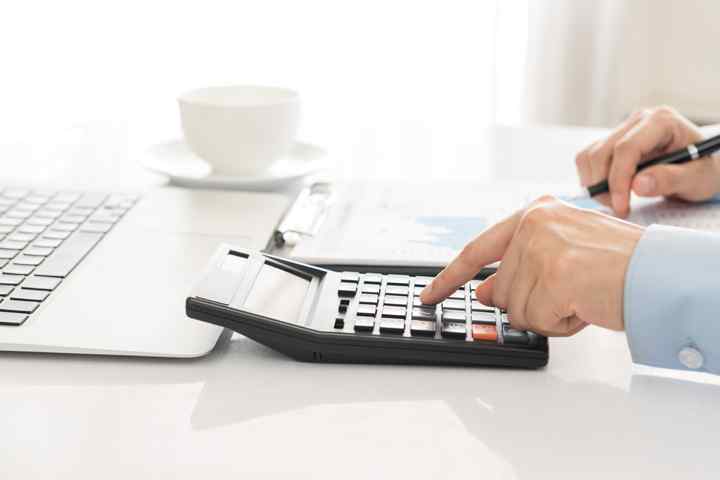 Whether you are trying to save on a regular basis, or you have a lump sum you want to invest in an effective and tax efficient manner, you need to address some very important issues. Factors to consider include your time horizon and your cash flow requirements. You will also need to understand a little about 'risk', which is your capacity to tolerate fluctuations in the value of the funds you have invested. This will require an assessment of your financial ability to take risk and your attitude towards risk. 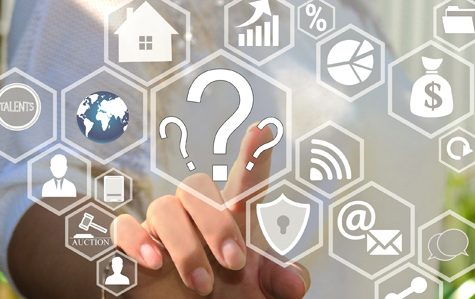 Consideration of both will help determine the choice of investments and the asset classes that are selected to make up your investment portfolio. In simplistic terms, a bank account generally provides high capital stability but no potential growth on funds invested or saved. On the other hand, equities or shares fluctuate in value, but provide high potential growth. 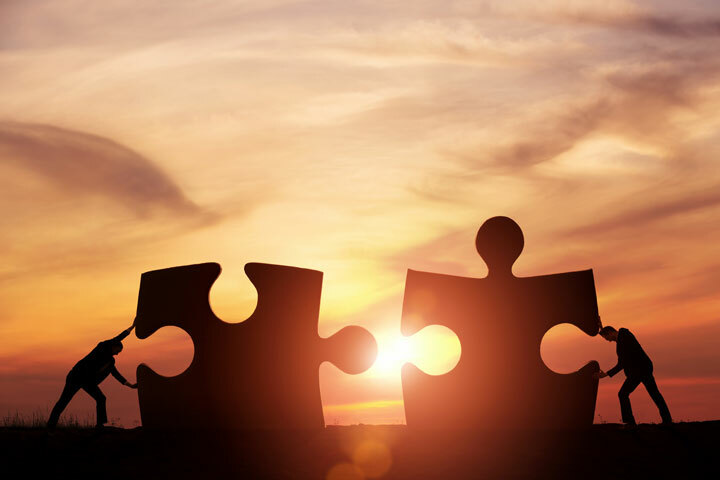 By discussing your goals, objectives, and concerns, Focus Partners can help you to identify the asset mix and choice of fund managers to satisfy your requirements. Focus Partners has the capacity to identify if you are on target to achieve your planned retirement goals. By identifying your objectives and considering the progress you have made to date, we can clearly demonstrate if there is likely to be a shortfall or surplus. If we identify a shortfall, we can then set about providing a solution to help you achieve your objectives. Superannuation is often of great concern to many and can be confusing as rules often change. This is something we understand more than anyone else. The question we get asked most often is: "Just how much super will I need to enjoy a comfortable retirement?" Asking a few simple but pertinent questions is all we need to enable us to prepare an indication of your requirements at retirement. With the use of a computer program, Focus Partners can determine if your current financial situation is on target or if some minor or major adjustments are required. How much Super you will need at retirement? Should you use a Retail Fund or a Master Trust? 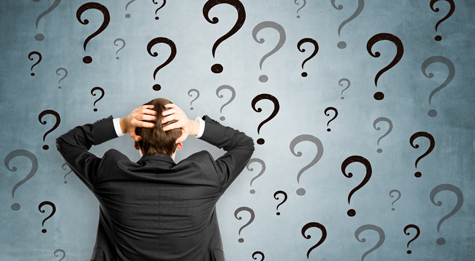 When is it practical to consider running your own Self-Managed Fund? 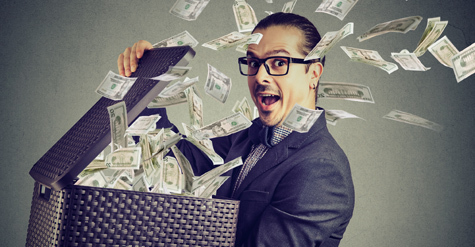 How can you gain more control over the investments selected? How much can and should you contribute? Personal Insurance should form a very important part of your overall financial security and strategy. It is strongly recommended that every client should have their personal insurance reviewed and updated on a regular basis to ensure they and their families are adequately covered. In many cases, the insurance can be paid for from your superannuation. Life Insurance: Death Cover is vital to anyone with family or dependant children, especially when there is debt involved. If the income earner dies, the family and dependants will need sufficient capital to invest, so that they can continue to live in a manner to which they are accustomed. Disability Insurance and Trauma Cover: This form of insurance is recommended for everyone, even the single person with no responsibilities. 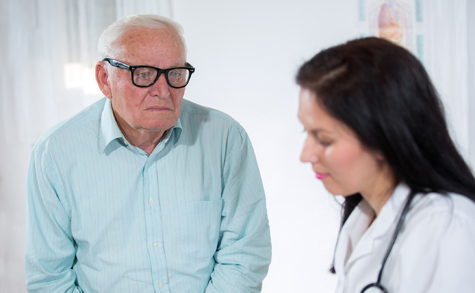 This insurance would provide for the payment of a capital sum on the diagnosis of certain specified events such as heart disease, cancer, stroke, etc., or in the event that you become permanently unable to work due to illness or injury. You can imagine the load it would take off your mind to know you had a substantial amount of money due to you, if you were diagnosed with some debilitating disease which was going to require very expensive hospitalisation or medication. Income Protection and Business Expense Insurance: Income Protection will provide the insured with an ongoing monthly income in the event of an illness or accident which results in the inability to work. 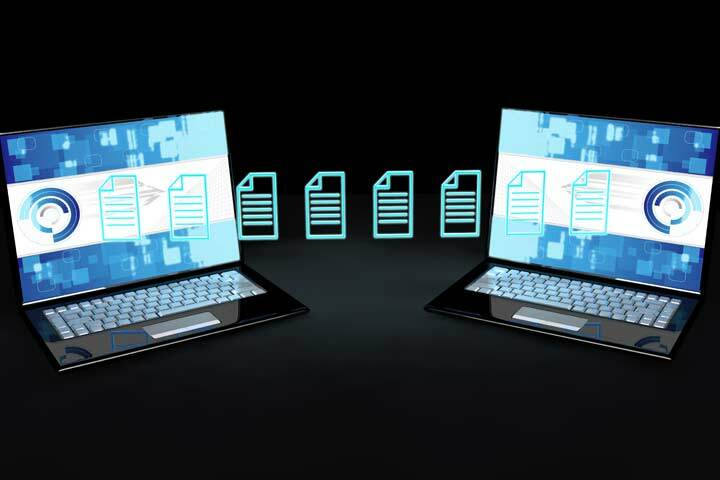 There is a wide range of options for this type of cover and the amount of payments, the waiting period and the term of the cover, are all specified by the client at the time of application. Centrelink can be confusing, and the source of frustration for many retirees. Fortunately, it doesn't have to be that way. Focus Partners can assist with all your Social Security and DVA concerns. If you are about to apply for a pension or are currently receiving a part pension, we can also help to arrange your financial affairs to maximise your Centrelink or DVA entitlement. We can also assist in the completion and lodgement of all relevant documentation, making the task a simple and straight forward process. If you require assistance, please contact our office and book an appointment. For those retirees that have mobility problems, a home visit may be possible. What is Focus Partners' investment philosophy? 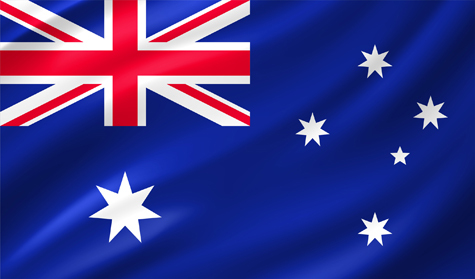 Focus Partners utilise the resources and investment knowledge of Lonsec Limited, one of Australia's top research houses. Using the guidance and recommendations of Lonsec, Focus Partners will construct a portfolio which is reflective of the level of diversity and sophistication that can be achieved with the financial assets available for investment. Where possible, we try to use direct investments (such as ASX listed Australian shares) in order to keep management fees to a minimum. 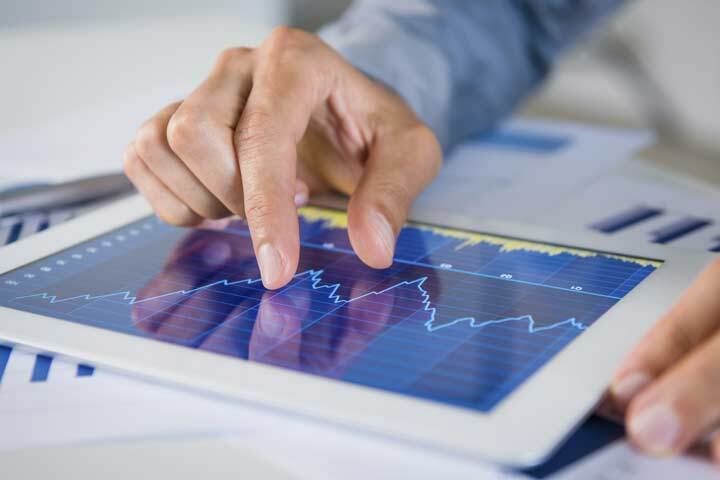 Where direct investing is not economical or practical, we will utilise the skills of fund managers who are 'Recommended' or 'Highly Recommended' by Lonsec. Where direct investing is possible, we rely largely on the 'model portfolios' of Lonsec, which have a proven and long term track record of strong performance in excess of the relevant market benchmarks. 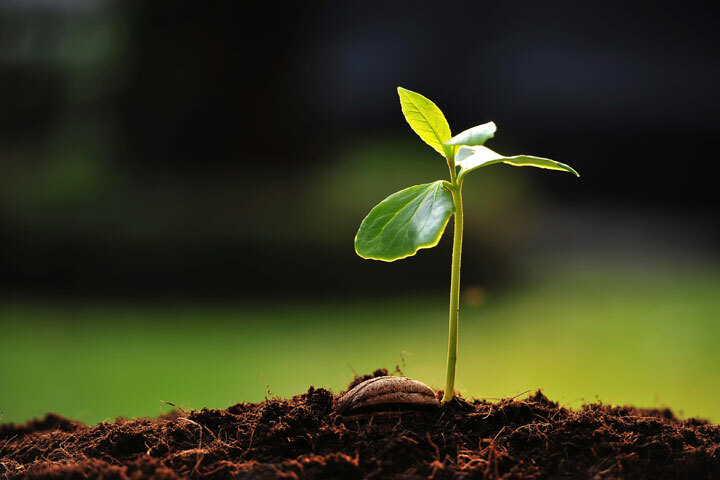 When is a Self Managed Super Fund (SMSF) appropriate? 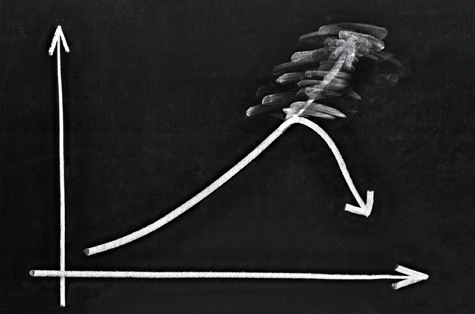 SMSFs are the fastest growing part of the superannuation market, but they are not for everyone. SMSF's offer an unparalleled level of flexibility and diversity of investment opportunities, but with great power comes great responsibility. Being a member, and therefore a trustee, of a SMSF requires you to be actively involved in the management and compliance of your super fund, and there are severe penalties for those who do not take their responsibilities seriously. 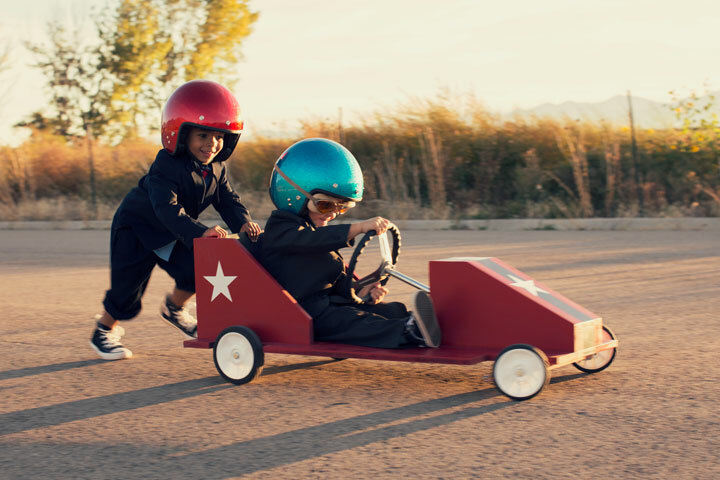 Focus Partners will work with you to ensure you remain on track with your obligations, but it is important to remember that it is the responsibility of the trustee to ensure the fund remains compliant with superannuation rules. A SMSF's fee structure differs from a standard retail or industry fund, and this is another area where SMSF's can be worth consideration. 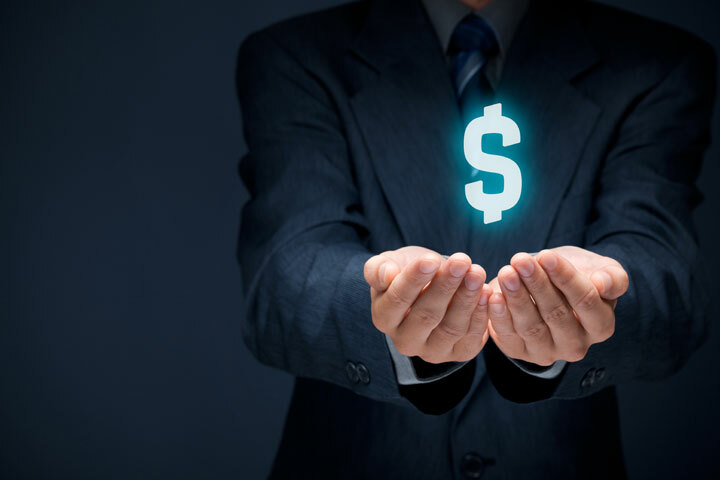 While a standard fund tends to charge fees on a largely percentage basis, meaning you pay more as your funds grow, a SMSF tends to have more 'fixed dollar' fee structures. As a general rule, if the combined superannuation balances of yourself and your partner is less than around $250,000, it is likely that a SMSF is not going to be economical from a fee perspective. As your funds increases over and above this level, the balance can shift towards a SMSF being economical. If you have a super balance of over $500,000, it is advisable to compare a SMSF to your current arrangements to see if it is something that will save you money (assuming you are prepared to take an active role in your super going forward). Focus Partners are specialists in SMSF and we would welcome the opportunity to discuss your suitability and compare your options. 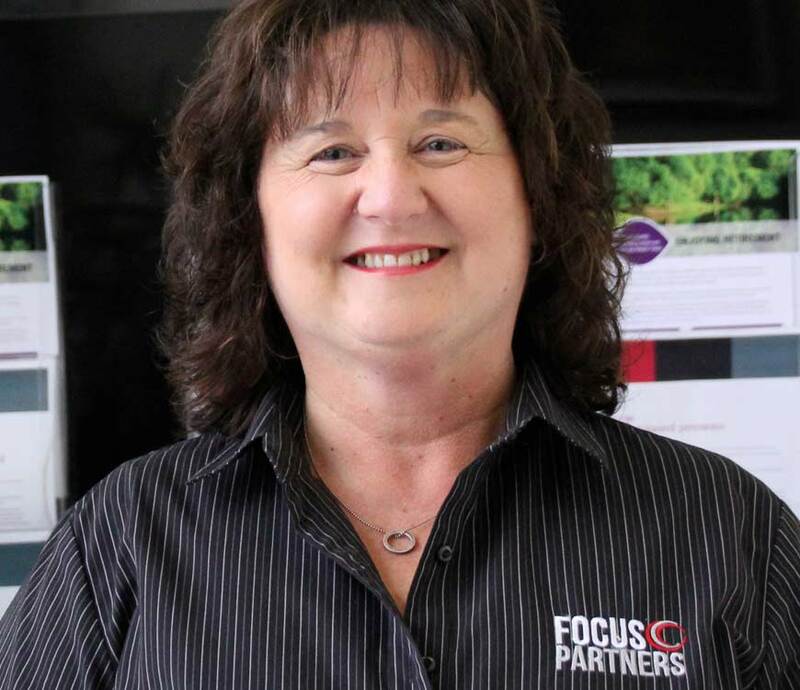 Learn more about the team members that keep the wheels turning at Focus Partners. Read the latest from the Focus Partners news desk in both the Accounting and Financial Planning sectors. Focus Partners welcome your enquiry. 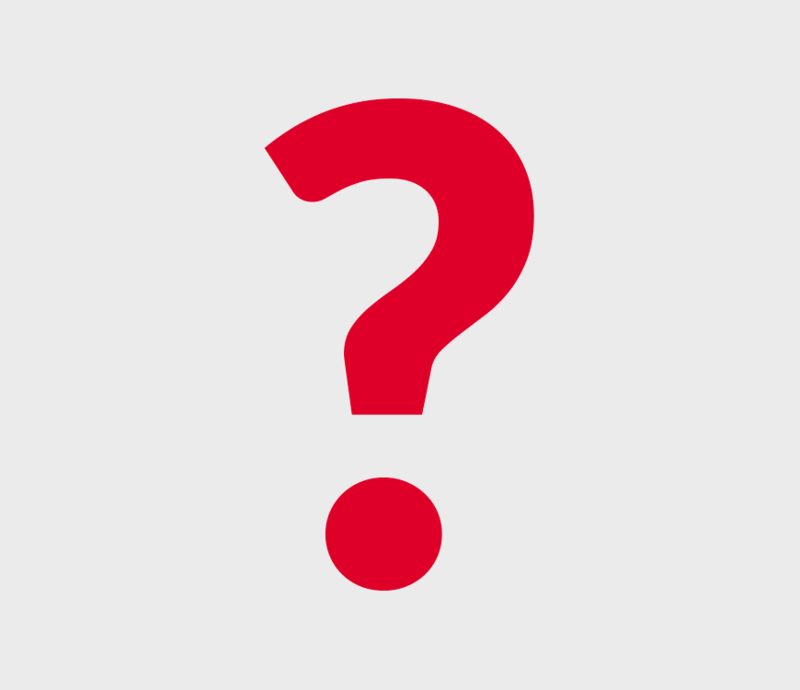 To book an appointment or simply ask us a question, fill in your details and we'll be in touch soon! 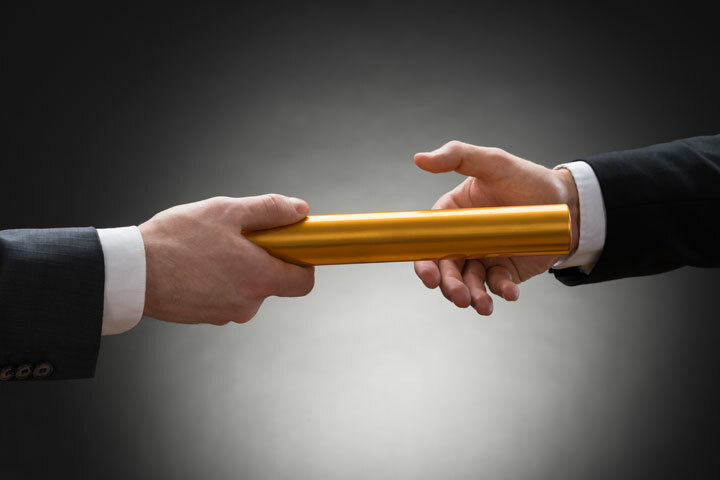 We specialise in business succession planning. This is more than selling your business, reviewing your insurance and/or preparing a financial or retirement plan. We have a proven 5 step succession planning service that allows business owners to smoothly transition both ownership and management succession of their business, on their terms, price and timeline. 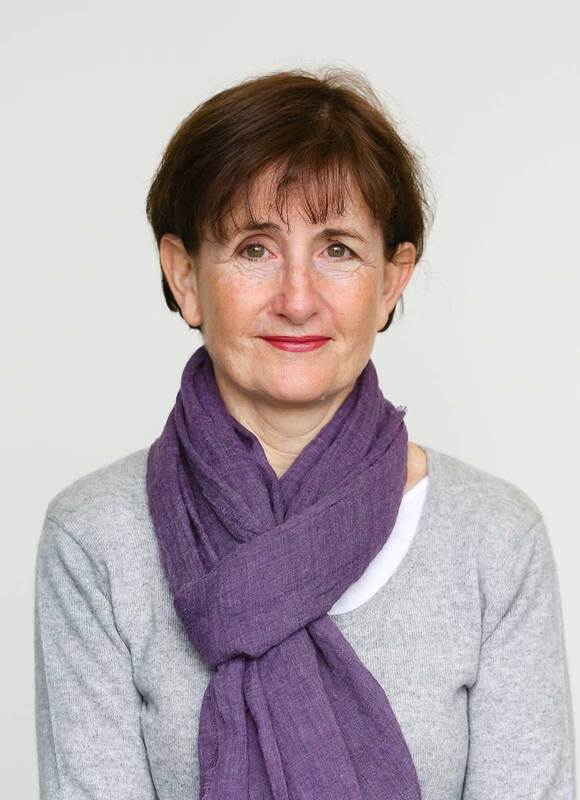 Helen commenced with the firm in 1985, and has lived in the Albury and border region since 1979. She was brought up on a dairy farm in the Latrobe Valley, attending secondary school in Traralgon before studying Art at RMIT in Melbourne. 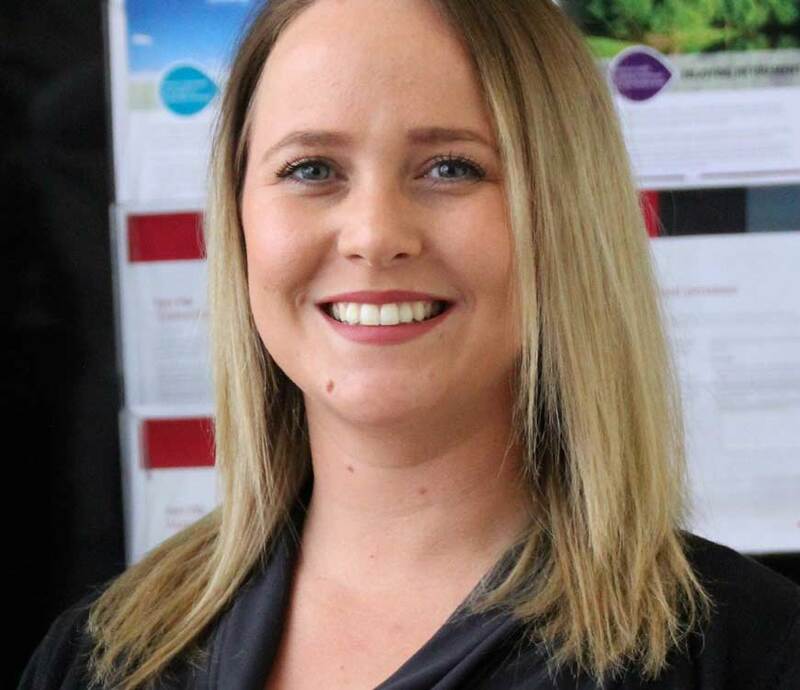 Having spent time in Papua New Guinea and Port Hedland WA, she settled in Albury with her family and completed her Accounting / Computing degree at CSU. 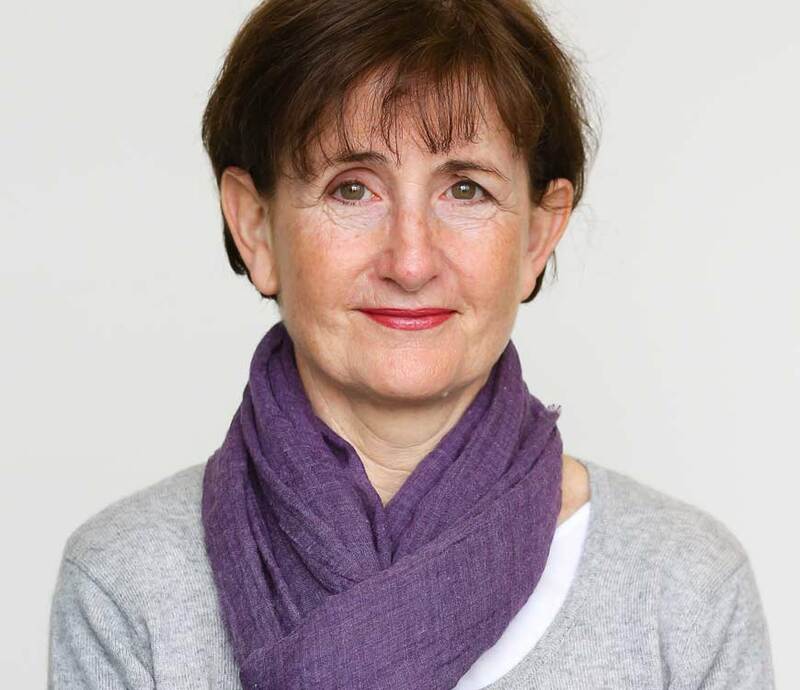 Helen has been a Chartered Accountant since 1990, is a fully qualified and licensed financial advisor, and a Justice of the Peace. Elin joined the business in 2005, having started in the industry in 2002. 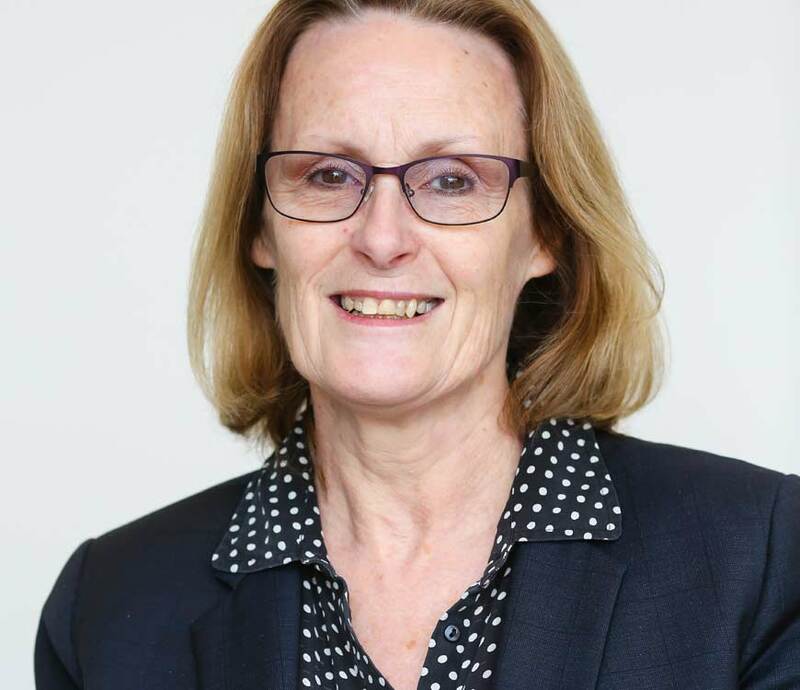 She completed her Bachelor of Business degree at Charles Sturt University and is a Chartered Accountant, as well as being licensed to advise clients on Self Managed Superannuation. She is married with a young daughter (Sienna). She spends her weekends following her husband Mick around the region watching him play & coach football in the Hume League. Being a Carlton supporter, she is usually hanging out for cricket season to start each year! Fleur Curry was born and bred in Albury and attended Albury High School. 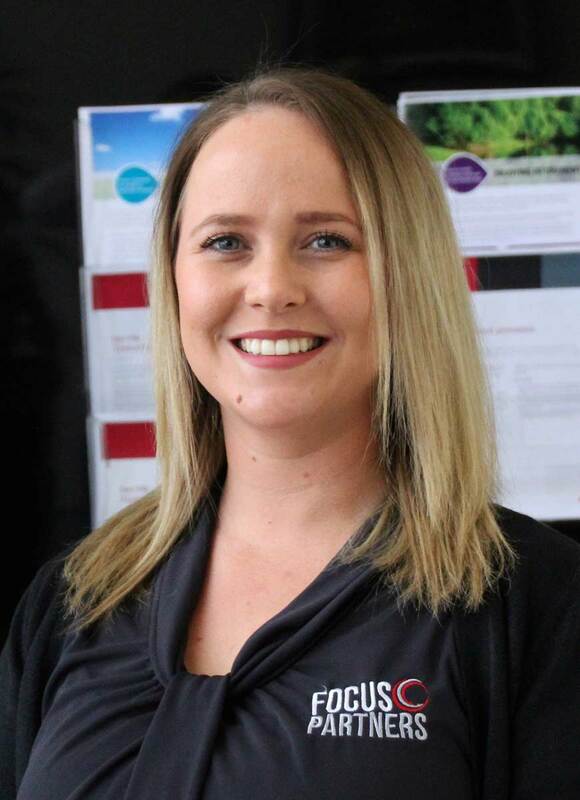 She joined the firm in 2004 as a Graduate after studying Accounting and Marketing at Charles Sturt University here in Albury. 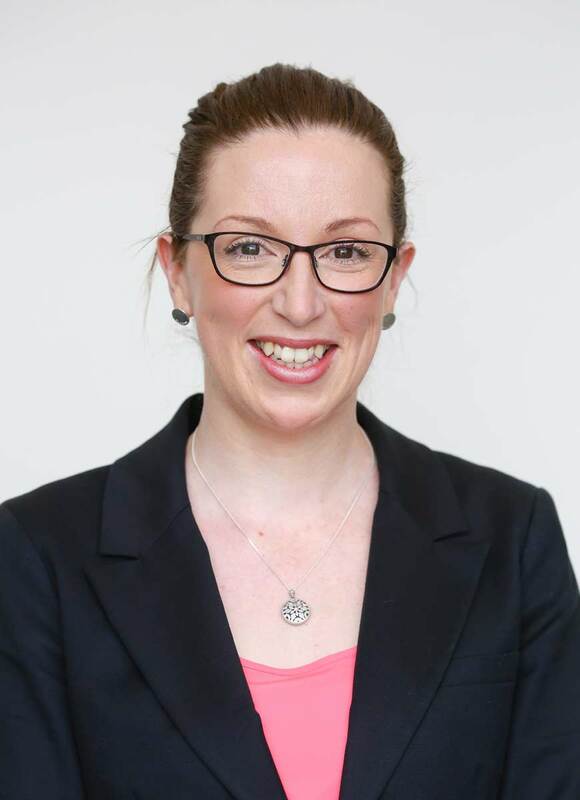 Fleur completed the Chartered Accountants Program in 2008, and in 2017 completed a Graduate Certificate in Taxation (incorporating Superannuation) through the University of New South Wales. 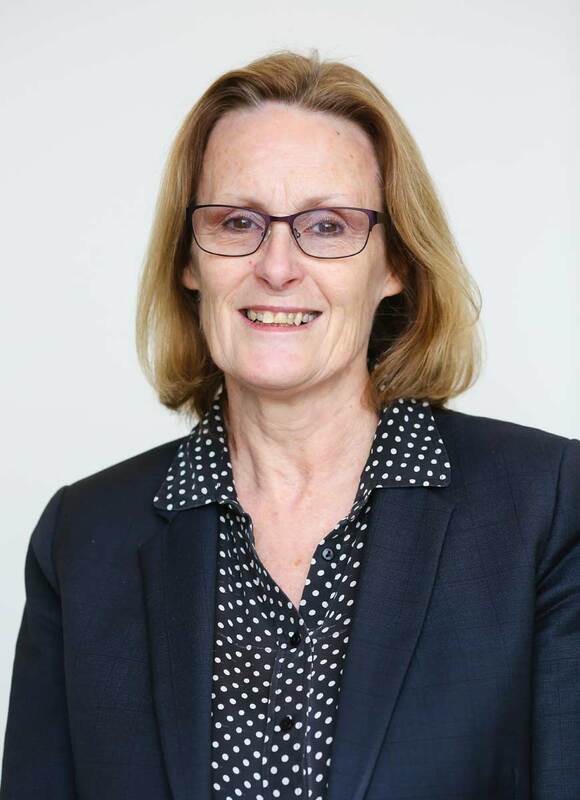 Fleur is licensed to advise clients on Self Managed Superannuation, and is also a Justice of the Peace. 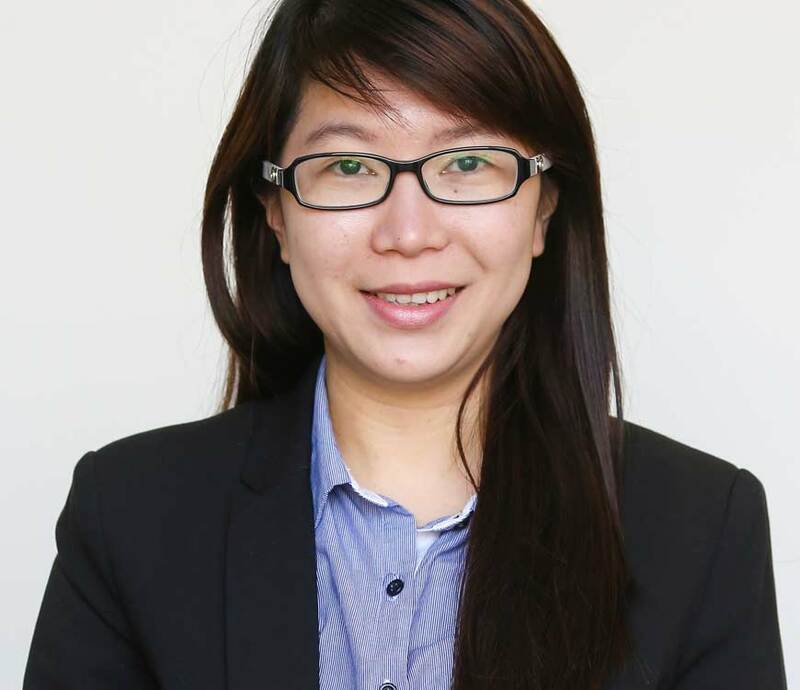 She provides a valuable service in the areas of business services, superannuation, tax and accounting, and assists clients with computerised accounting systems. Fleur and her husband Matt have a son Angus, and a daughter Philippa. She has a strong community background, and enjoys spending time with friends and family, and the odd long weekend away. 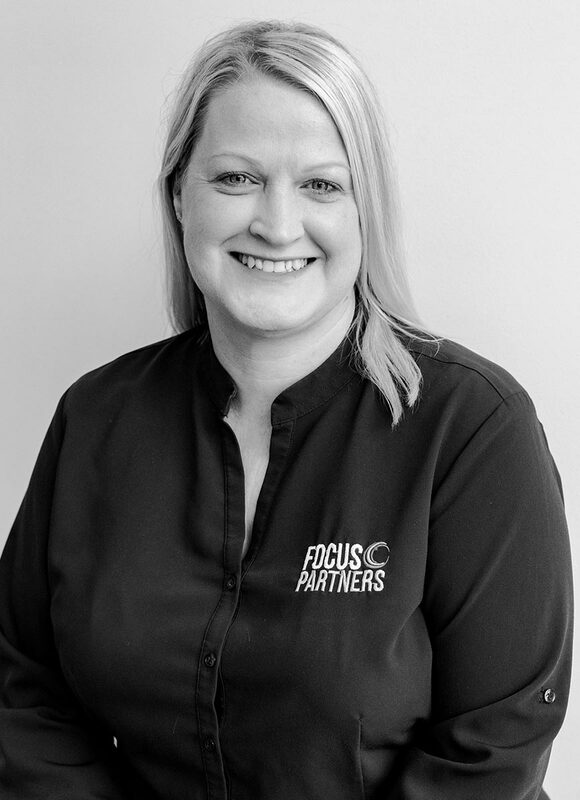 Sarah has been with Focus Partners since early 2013. She grew up in Howlong and studied at Charles Sturt University in Thurgoona, graduating with a Bachelor of Business (Accounting). Sarah completed the Chartered Accountants Program in 2015 and has recently become a Justice of the Peace. She is a passionate football fan. On the weekends she follows her beloved Howlong and St Kilda Football Clubs. 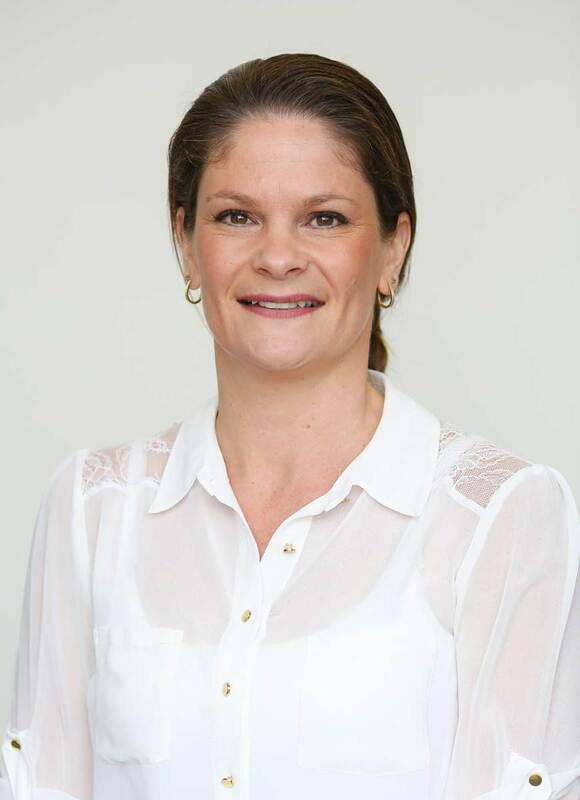 Trish joined the firm in 1994 while completing her Bachelor of Business (Accounting) at Charles Sturt University. 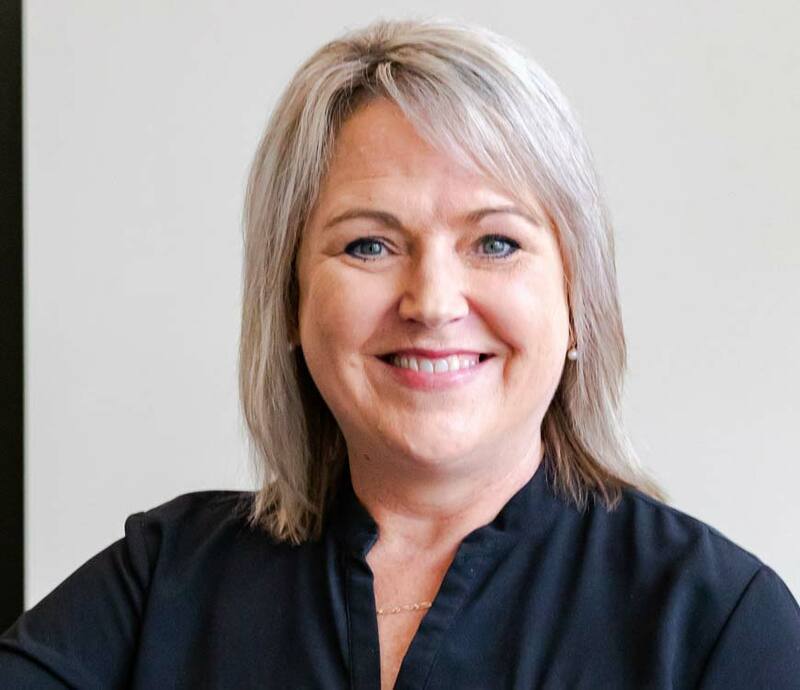 After graduating with Honours in 1998, Trish worked in general taxation accounting, but for the past 10 years has focussed on looking after the interests of our many Self-Managed Super Fund clients. When not in the office Trish enjoys hiking and cycling, both locally and overseas, and spending time with her two young grandsons. 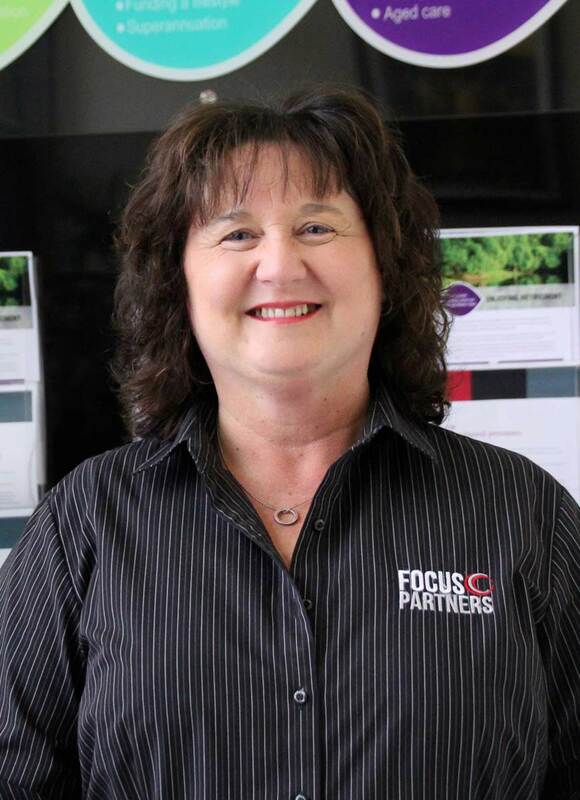 Melinda joined Focus Partners in 2008, straight after completing her Bachelor of Business at Charles Sturt University. 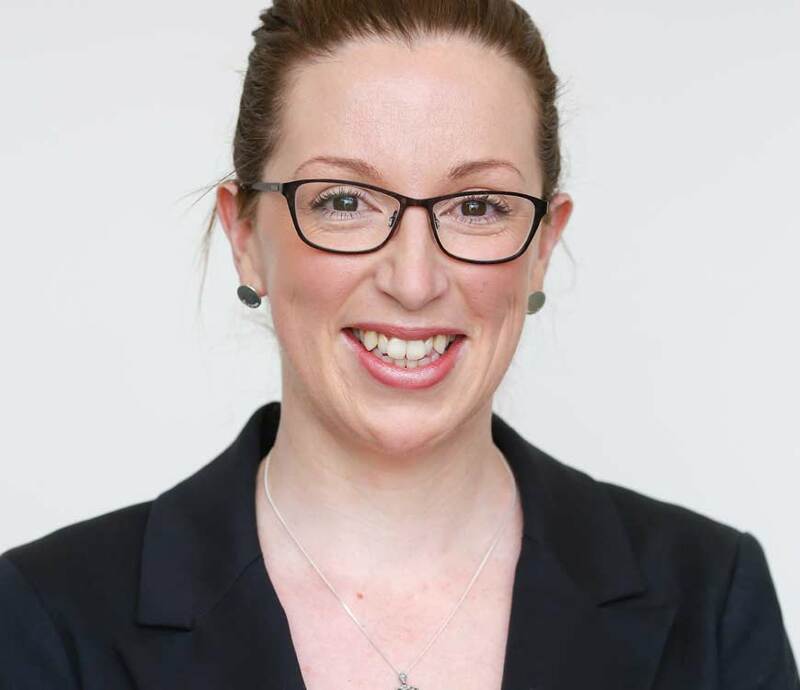 In addition to her role in administering Self Managed Superannuation Funds, Melinda performs valuable taxation services for a number of clients. Deidre is our longest serving member of the team, having joined the business in 1983. She jokes that she has endured more office management, rules and functionality changes and job descriptions than the block contestants. She has been married for 27 years and has two adult children, with her weekends being taken up watching them in their chosen sporting fields while also enjoying Zen Doodling, wine and shopping. Jenny studied at Deakin University in Melbourne, graduating with a Bachelor of Commerce (Accounting, Finance and Financial Planning). 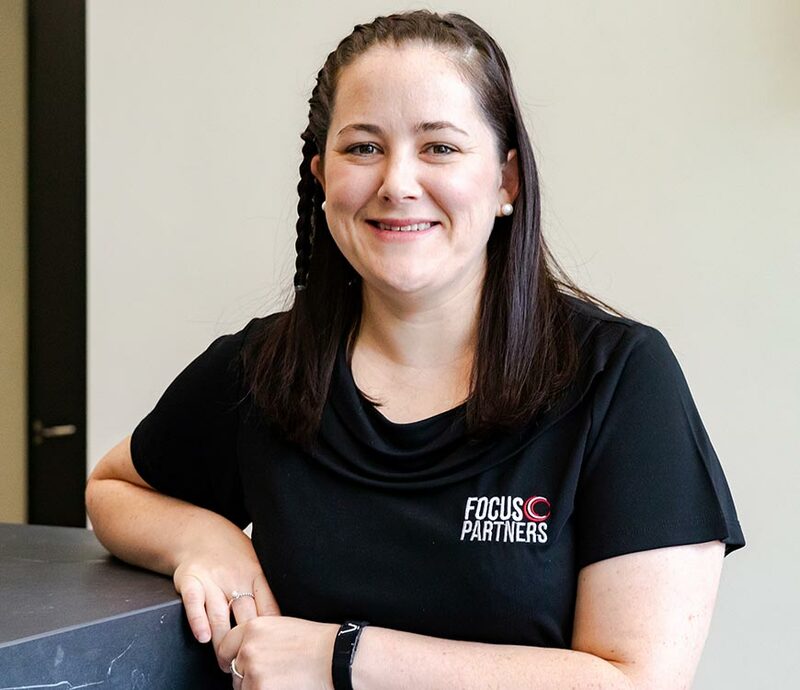 She started working in accounting in 2012, and she has been with Focus Partners since moving to Albury in 2014. 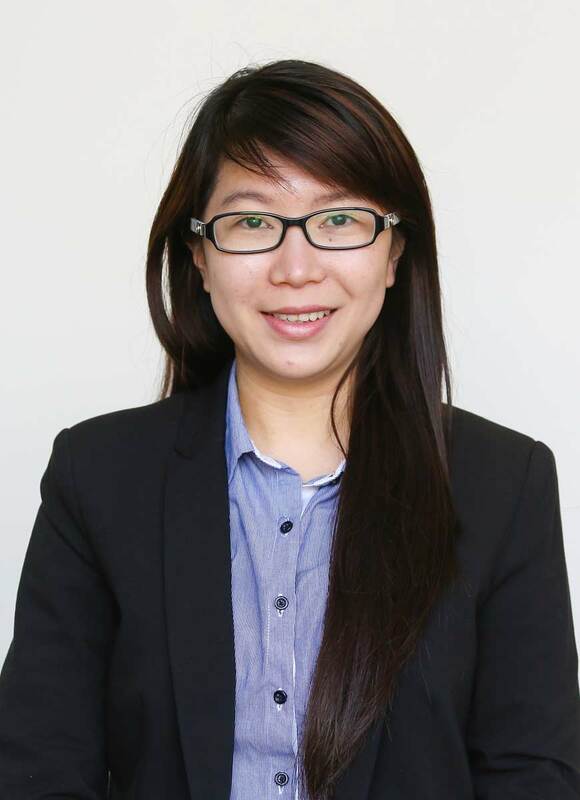 Jenny commenced the Chartered Accountants Program in 2015. She loves dancing and travelling, and spends her weekends with friends and at dancing classes. 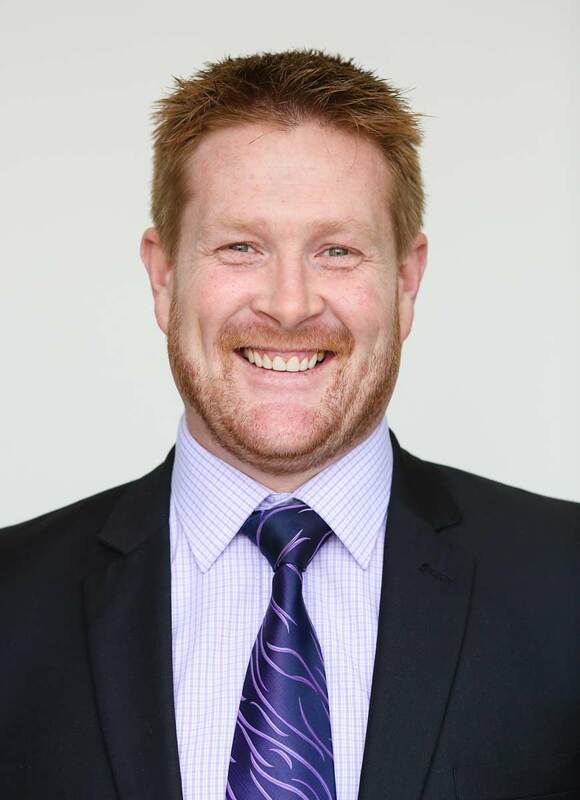 Josh is a Financial Planner who specialises in Self Managed Superannuation Funds and retirement strategies. 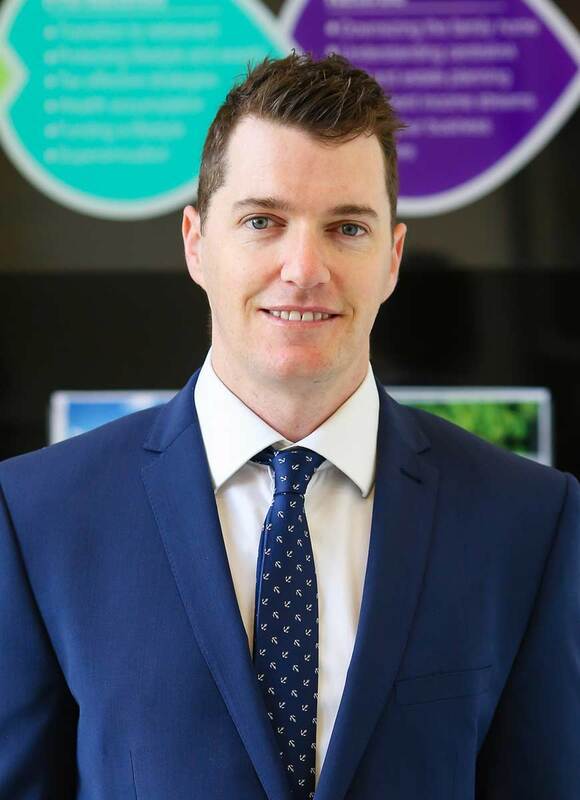 Originally from Albury he joined Focus Partners in 2009, having worked in the financial services industry in Melbourne since 2007. He holds an Advanced Diploma in Financial Services and is a SMSF Specialist Advisor, as well as being a Justice of the Peace. He gains great comfort and satisfactions from knowing he is helping his clients to achieve their financial goals. 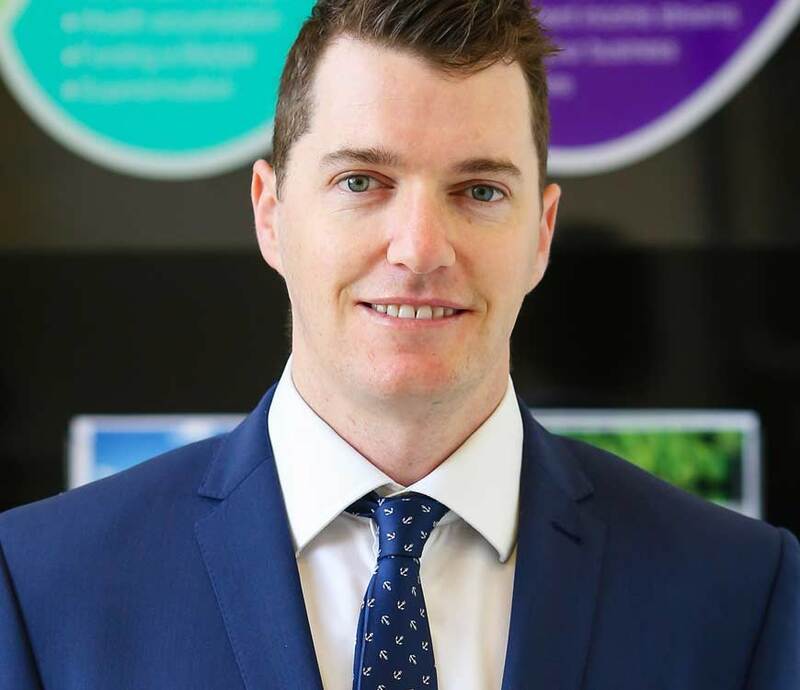 Zac grew up in Albury before heading North to complete a double degree in Commerce and Economics at the Australian National University in Canberra. He then went on to spend twelve years working in funds management and investment banking in Sydney, where he obtained the Chartered Financial Analyst (CFA) designation. As an investment specialist, he is one of a handful of financial advisors nationally to hold the CFA qualification. He also holds a Diploma in Financial Planning and is a Justice of the Peace. In Sydney he met his future wife, an Albury girl, and in 2012 they moved back to start family life on the border. He used to spend his weekends lamenting another lost season for his beloved Richmond Tigers, but now rides the 2017 Championship into any football-related conversation. 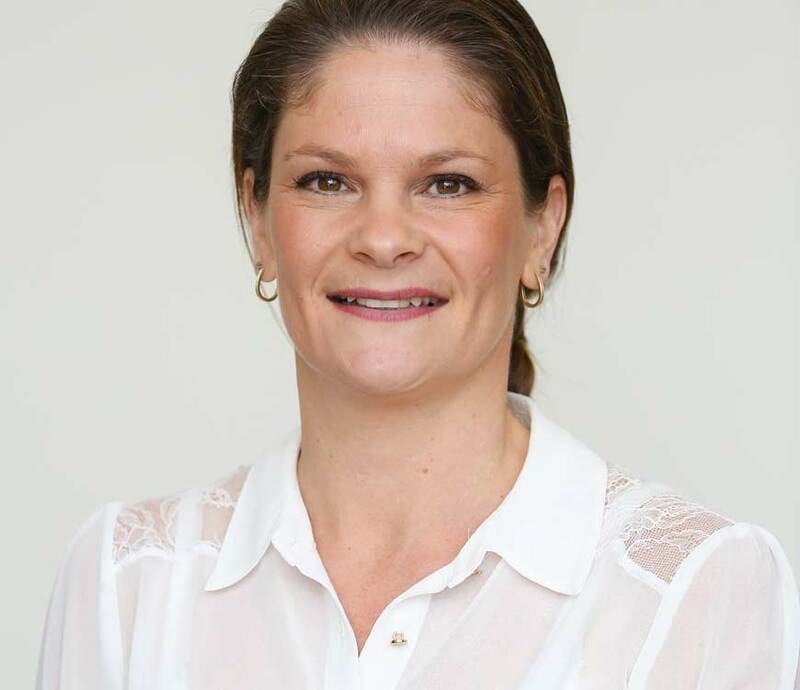 Kim is originally from Sale in East Gippsland and made the move to Albury in 2006, which is when she began working in the financial planning industry. 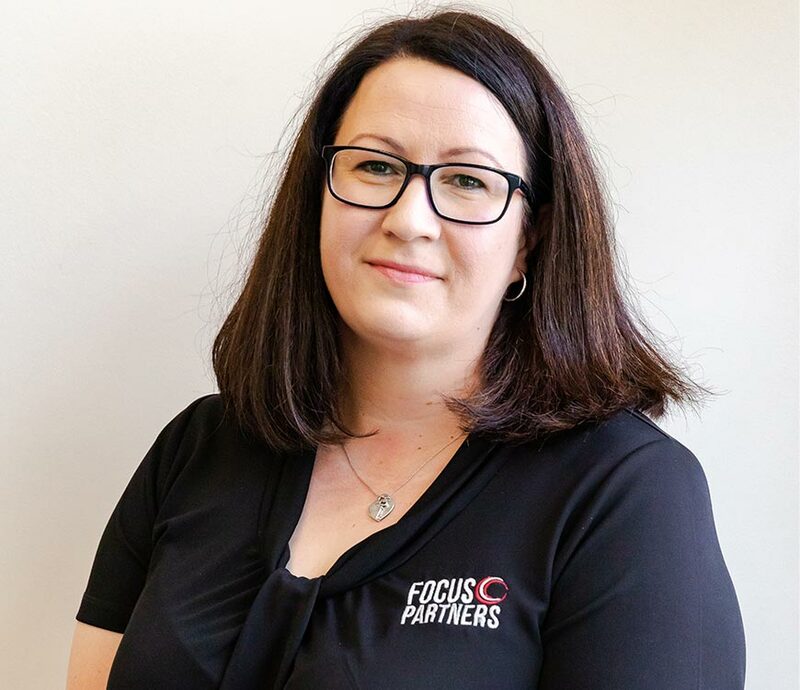 Kim started working at Focus Partners in 2015 and her role is to provide support to the financial planning team. 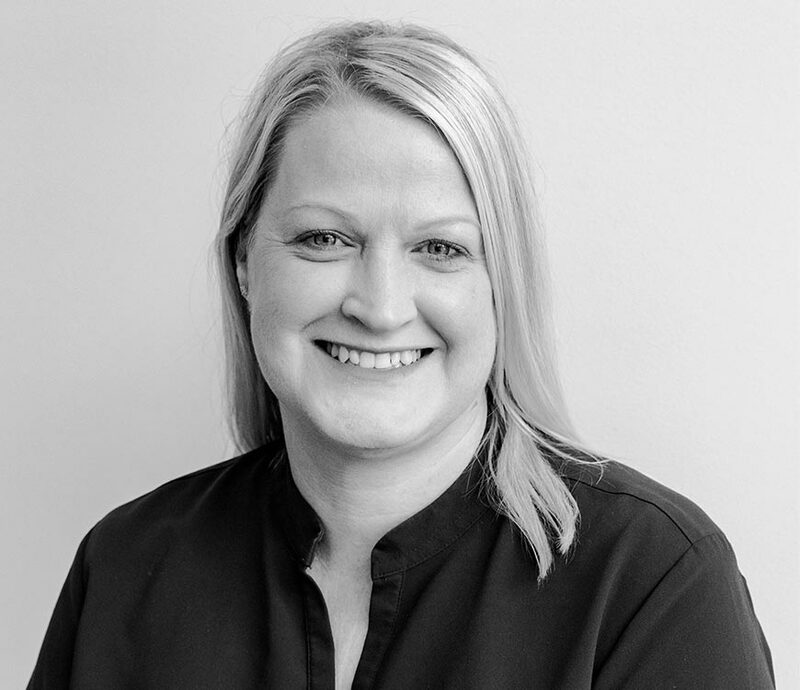 Kim has three beautiful children Madison, Charli & Jed and is passionate about all things related to food and believes in living a healthy and well balanced lifestyle. 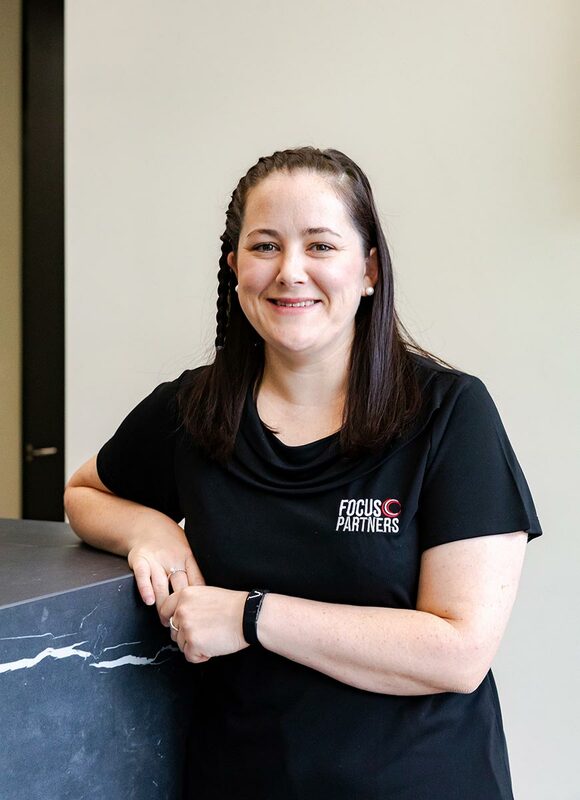 Shannon has been working in financial planning since 1998 and started with Focus Partners in early 2007. She has a Diploma in Office Administration from Wodonga Tafe, and her role is to provide support to the financial planning team. She is married and has two daughters, Indi and Lily. She supports Hawthorn in the AFL and enjoys spending her weekends with friends and family. Sharleen joined the business in 2002, having been in the industry for over 25 years. Her role is to provide office administration support to the accounting and financial planning teams. She is married with three children and one grandchild. 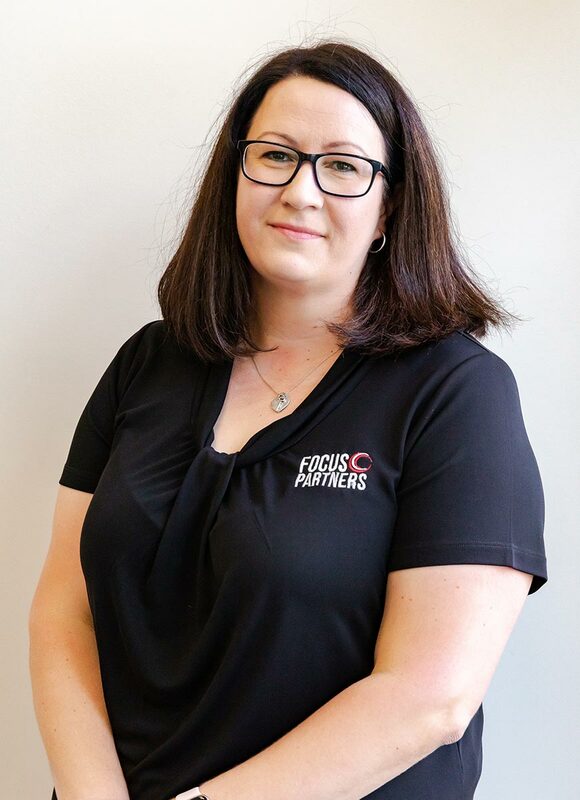 Taya joined Focus Partners in May 2008, having made the career change from hairdressing to office reception. Taya is the smiling face you will most likely see when you first walk in the door.